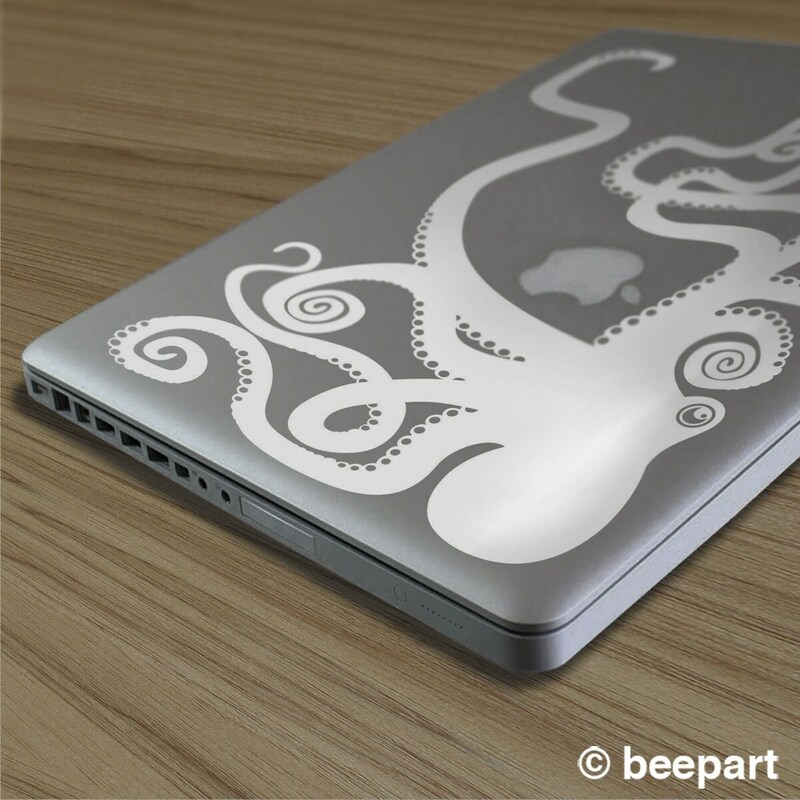 Get your tentacles on our friendly octopus laptop decal! It is designed to fit most 13" laptops and larger, PC or Mac. 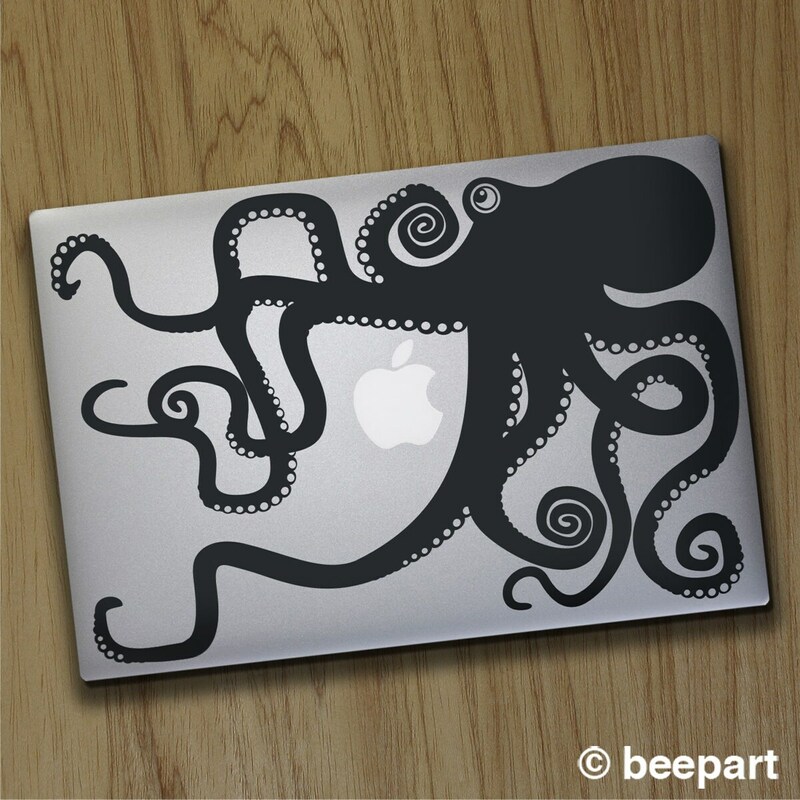 It can also be resized to fit any laptop or notebook computer! The standard decal measures approx. 8.5"x 12.75", if you need a decal slightly larger or smaller to accommodate your specific laptop just let us know in the 'note to seller' when ordering.